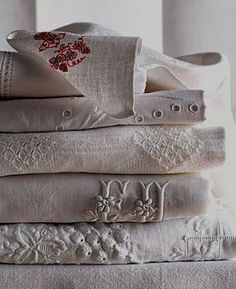 Homespun Stitchworks..... For the love of vintage: Scatter joy and stitch! and my love of nature. It is coming up to two things one is the Bank Holiday and the other is the Vintage Fair at Wisborough Green in Sussex ( see previous blog Friday 12th August) I would normally be going but have decided to take up the offer of a few days away in Devon instead. I know! me not go to such a fair but one day at a fair or 5 days in Devon? it was not that hard a decision for me. Being so busy and looking after my mum I am quite frankly a bit tired so the thought of going away to friends and not having to think about anything for five days appealed to me. So today I am going to be stitching and packing to go away. So heads up there will be a blog tomorrow and Saturday and then it will return on Tuesday, which will practically be September! gosh. I will return with a show and tell of the Cotswolds vintage fair plus a blog about the fabulous vintage shop Betty and Violet and to top that all off I have bought some vintage quilt pieces from America that are outstandingly beautiful and different and some other vintage fabrics so there is lots to look forward to coming up. I am hoping the warm weather will accompany us and I am going to take my sketch book as well and go wild flower gathering as well, I have already packed a good reading book so I will be set for peace and relaxation.... There is a stream that runs through the bottom of the garden and the peace I feel listening to running water, I should say as well there is a waterfall too. I have seen, on other visits and kingfisher skimming along the top ... they are so tiny and fast. My stitching is coming along and I am very much enjoying it,k the Christmas project is getting the most attention but I keep swapping to the lighthouse as well. I have not started the one with all the leaves and I also want to start the one that is personally for us with the huge vintage mother of pearl sand dollar button. I have already designed it and it is very simple but I think quite effective! The butterfly project that I am also doing has not been picked up at all in two weeks nearly! well as I said I have fallen behind a bit. A friend of mine brought me over a huge electric fan and its been a god send. I can sit at the dinning room table with this beast blowing cool air on me and I have been able to stitch for the last few days without the needle slipping ... bliss. I would like to start my leaf stitchery soon as I am excited about it with the words chosen and the centre piece as well. But no not until the others are finished. That is the trouble with getting too much ready for a project, I want to get going on it then. I do not cut out usually until I start it but it was the hot weather last week as I told you and it was better be working on something than not at all. It was time management in my book! Now the temptation to put a few sweet little stitches in their place is getting the better of me! Additionally I thought of taking some other project to Devon .. not to stitch but to prepare in the same way .. will it be too much temptation in my way? who knows. Of course there will be a lot of socialising going on. Long chatty evenings either in the dinning room or outside by the summerhouse but resting in the day or before dinner or even early morning for stolen stitches time before the cottage is awake ... I can do some bits of work! That is lovely to hear. I must pop across to your blog .. Will join. I am sorry to be missing you and the fair .. A selfie had been planned! It's a much needed rest believe me. After being so poorly last winter I now listen to my body. Have a fab time .. Report for me.